Morocco's King Mohammed VI joins host of Arab leaders to warn Trump against moving embassy from Tel Aviv to Jerusalem. Morocco's King Mohammed VI on Tuesday joined a host of Arab leaders in warning U.S. President Donald Trump against moving the American embassy from Tel Aviv to Jerusalem. Trump had earlier informed Palestinian Authority (PA) chairman Mahmoud Abbas by phone of his intention to move the embassy from Tel Aviv, Abbas's office said Tuesday. 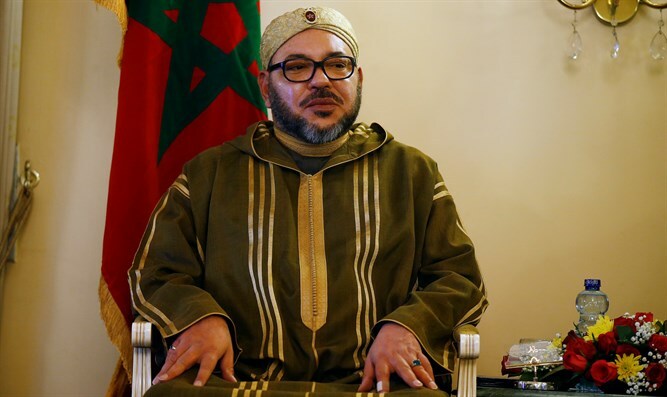 In an open letter to the American president, the Moroccan king expressed his "deep personal concern" and "the great concern felt by Arab and Muslim states and peoples" over moves to recognize the city as Israel's capital and transfer the U.S. embassy there. "The current step is likely to negatively impact the prospects of a just and comprehensive solution to the Palestinian-Israeli conflict," read the letter, which was quoted by AFP. The king urged Trump to avoid anything that could "exacerbate feelings of frustration and disappointment, which are the basis of extremism and terrorism". Earlier on Tuesday, Egyptian President Abdel Fattah Al-Sisi, one of Trump's closest allies in the Middle East, also urged the U.S. president to be cautious regarding an embassy move. In a phone call, Sisi urged Trump "not to complicate the situation in the region by taking measures that jeopardize the chances of peace in the Middle East", the Egyptian leader's spokesman Bassem Radi said in a statement. Sisi also confirmed "Egypt's consistent position on maintaining the legal status of Jerusalem within the framework of international standards and relevant United Nations resolutions", he added. Saudi Arabia's King Salman also weighed in on the issue, warning Trump that moving the U.S. embassy to Jerusalem was a "dangerous step" that could rile Muslims worldwide. "Moving the U.S. embassy is a dangerous step that provokes the feelings of Muslims around the world," state-run Al-Ekhbariya TV quoted King Salman as telling Trump in a phone call. A report earlier on Tuesday stated that Trump will recognize Jerusalem as the capital of the State of Israel on Wednesday’s and will also announce the beginning of the process of moving the embassy from Tel Aviv to Jerusalem, but will sign the waiver which would delay the move by another six months. White House press secretary Sarah Huckabee Sanders later said Trump would give a speech on Wednesday in which he will announce whether he intends to press ahead with the embassy move, but would not provide further details. "I'm not going to get ahead of the president's remarks," Sanders stressed when asked whether Trump would heed the advice of allies warning that moving the embassy could spark widespread unrest in the Middle East.